with High Touch High Tech! Put some STEAM into your Preschool with High Touch High Tech! High Touch High Tech of Greenville/Spartanburg continues to nurture budding young minds with innovative early childhood programs designed to challenge & amaze preschool age children. 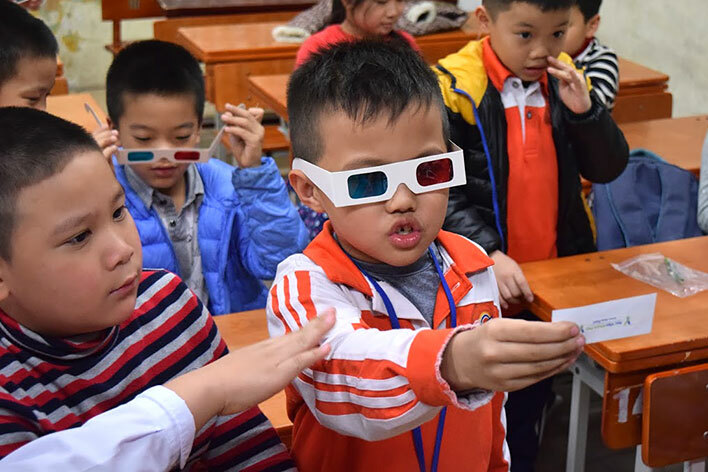 These programs encourage your students to expand their thinking and problem-solving skills with many opportunities for both individual and collaborative projects. STEAM has become a hot topic in the world of education. 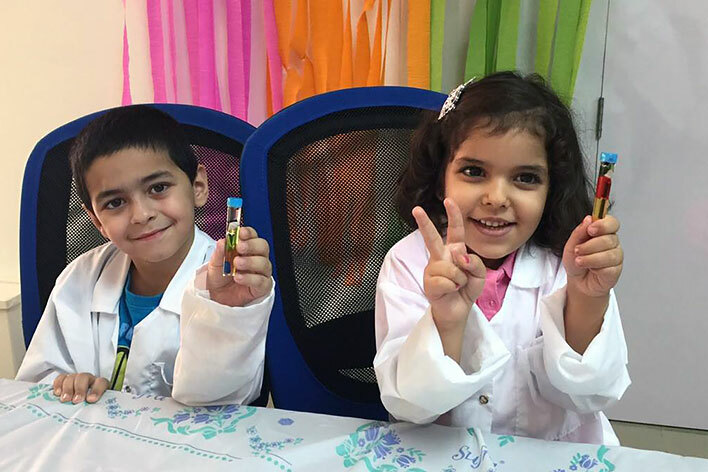 It is an educational approach to learning that uses Science, Technology, Engineering, Arts, and Mathematics for guiding student inquiry, discussion, creativity and critical thinking skills. There are many reasons why STEAM subjects should be addressed in early learning settings. Early learners will learn to make observations, make hypotheses, and use critical thinking. These skills will help young children to grasp math and science concepts early in life creating a strong foundation for future learning. 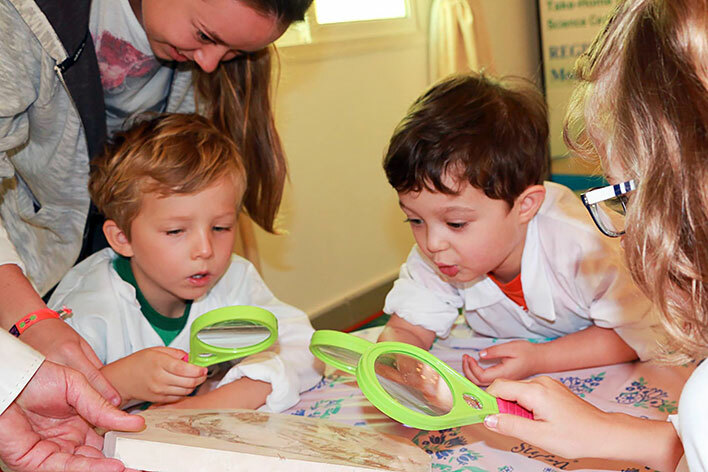 High Touch High Tech Preschool Programs will encourage your early learners to investigate and ask questions while performing hands-on experiments and delving further into the world of science! "Our Director's, staff and children were very pleased with the Science Made Fun programs that you provided this summer. The Scientist did a great job of keeping the children interested and engaged! Each program sparked their imaginations and helped keep their minds active over the summer! Thanks for providing this program to our schools!" Find out all about animals as we use bean bag babies to discover what makes each animal so special. Learn about animal protection, homes, body coverings and more! Start your school year off with a bang! Discover chemical reactions as we make them Snap, Crackle and Pop! Discover the amazing world of plants. Have fun as we check out all types of amazing seeds. Make seeds travel. Find out what seeds need and take some home to grow! Click on the link below to discover all of our exciting preschool experiences in our 2018-2019 Preschool Program Guide. We will come to your preschool for 90 minutes and will engage each age group of children for 30 minutes of non-stop, hands-on, FUN learning. The cost is a $200 flat fee for the 90 minutes. Book our full curriculum of 10 programs and receive a discount of $10 per program. We look forward to visiting your preschool soon!